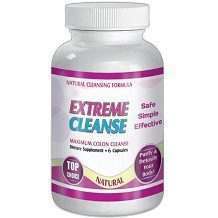 SliMax Extreme Cleanse Maximum Colon Control Review - Does it Work? The colon is, of course, an integral part of the digestive system. Apart from the fact that it is directly involved in food digestion, it also plays a vital role in the excretion of waste. When the colon is compromised, therefore, the digestion of food and excretion can become very difficult. These difficulties could manifest as constipation, bloating, and other digestive problems, which might, in turn, require the colon to be cleansed. 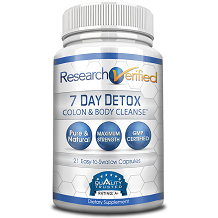 There are many supplements and formulas which are said to help clean the colon, one of which is Extreme Cleanse Maximum Colon Control. It is made from natural ingredients and is said to aid in digestion and help keep the bowel balanced. The manufacturer says it also helps in weight loss and improves the immune system overall, boosting energy and enhancing metabolism. In what follows we put this product through our full review to help you decide it it’s right for you. We were unable to find a list of this product’s ingredients. While the product is available online from several retailers, it seems the manufacturer has gone out of its way to not reveal anything about its formula. All we could gather is that it is made from a combination of natural herbs which are said to aid digestion, help boost energy, and burn fat, in addition to balancing the digestive system. Without access to what’s actually in it, there’s no way to evaluate how effective it may be. One or two capsules should be used daily after dinner. This formula is intended for adults only. At the time of our review, you could purchase this product on Amazon for $31.99 for a bottle of 60 capsules. If you wanted to buy it from Walmart the price was $32.99 online. We were unable to find any customer reviews on the major retailers’ websites. We were also unable to find a return policy on the manufacturer’s website. This product certainly makes all the right claims, right up there with its competitors in terms of what it can do for your colon and overall health. But where it doesn’t compete at all is in not providing any ingredient list (are you allergic to one of the ingredients? It is also somewhat more expensive than many similar products. Finally, we were unable to find any real-world customer feedback.